Mutant Test Review - (Learn the truth) Does It Really Work? Should you buy Mutant Test? Mutant Test is a male enhancement supplement that can increase testosterone levels and improve sexual performance. The product is manufactured by Mutant Co., established in 2006. The company has produced a variety of fitness supplements, testosterone boosters, and fat burners over the years. The major ingredients in this supplement include Vitamin D2, Maca Root, Zinc, Fenugreek extract, Vitamin B3, and Black Pepper extract. Black pepper extract is also known as bioavailability enhancer. It helps to increase the body’s ability to absorb other ingredients. Fenugreek is known as a testosterone booster. Vitamins, like Zinc, help to maintain hormonal balance, energy levels, and mood. These benefits help to increase the strength, endurance, and stamina required in the gym. The company has emphasized the supplement’s ability to help you boost your workout productivity. These ingredients can also help with muscle recovery. The company recommends taking six capsules every day, which is a considerable amount of pills. The company suggests taking all of these pills in the morning, on an empty stomach, and with plenty of water. After you have used it continuously for a period of eight weeks, it’s best to take a four-week break to give your body some time to reset. The company claims a range of different benefits, but this supplement doesn’t contain many testosterone boosters. 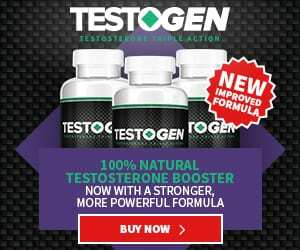 Also, there are no estrogen suppressors in the formula, so it’s debatable that it can increase the levels of testosterone in the body. There are few fillers in this supplement, which increases its risk of side effects. The company doesn’t offer any kind of money-back guarantee with the supplement. We have to give the company credit for making this supplement so affordable. At $52.87 for a bottle of 180 capsules, it’s inexpensive. We are not as satisfied with the possible benefits, and we are hesitant about the potential risk of side-effects. We can’t comfortably recommend this supplement. Thanks for the review. Informative and impartial.